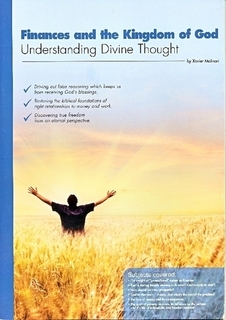 This booklet will guide you in exploring your relationship to money through a study of God’s Word. The Bible has so much to teach us about God’s perspective on finances : their role, their importance and how to be good stewards of our resources. We know the family is foundational in the building of a nation. If the family is dysfunctional, so will be the nation. As individuals and couples, understanding how to manage our finances from a biblical perspective will help us live out the principles in a family context, contributing to building a strong family structure. Passing them on to our children will help them build their own lives based on sound life principles. For example, one of the main factors leading to divorce today is a couple’s poor financial management, along with a warped understanding of biblical principles on the subject of money. As our vision changes and we adjust our behaviour, the way opens to greater freedom, righteousness and more blessing.